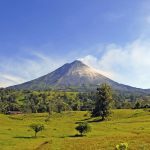 What Is A Costa Rican Farmer Market? 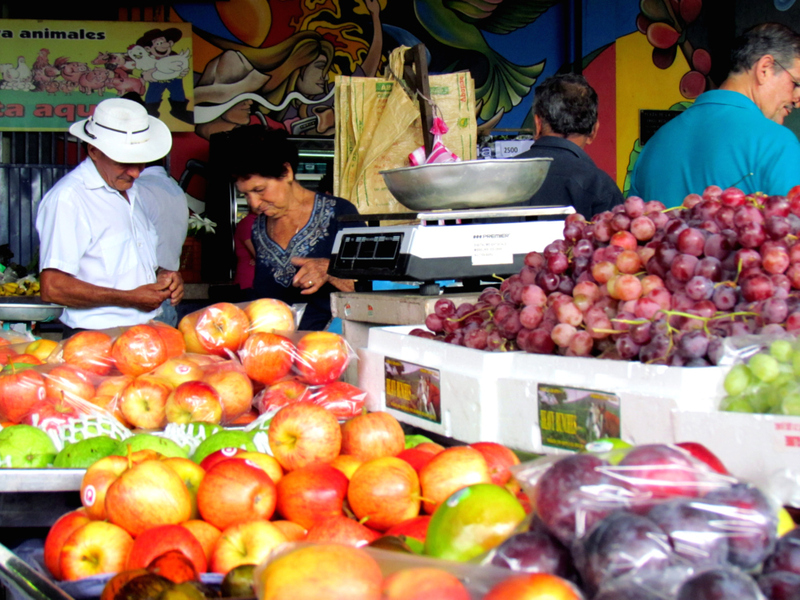 Farmers markets were born in Costa Rica some decades ago, with the objective of giving small and medium producers a place where they can sell their goods directly to customers. 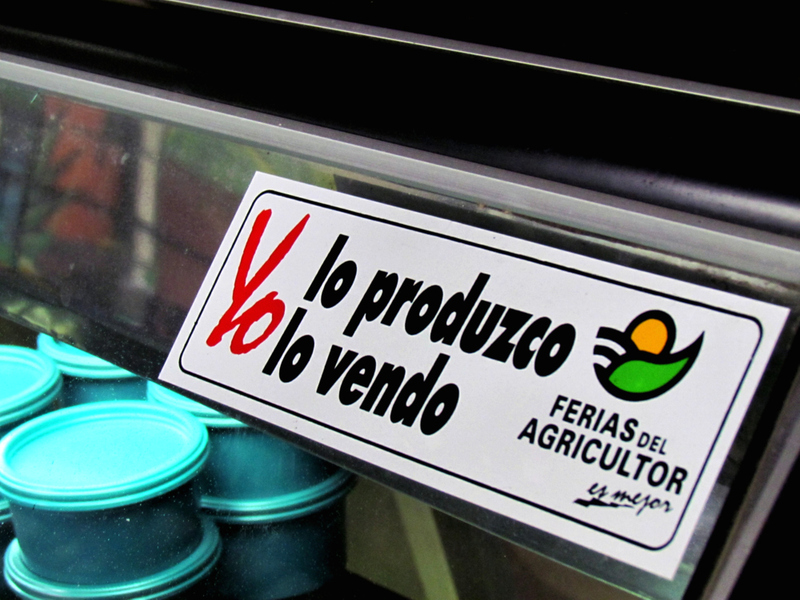 In exchange, buyers receive fresh and high quality products for cheaper prices, because intermediaries do not exist in the selling process, that is why their slogan is “I produce it, I sell it” as you can see it in Spanish in the main picture. There are more than 70 farmers markets all over the country. Generally, they take place from Thursday to Friday or from Friday to Saturday each week and you can get from vegetables and fruits, to prepared dishes, diaries, clothes, animals, handcrafts and others. 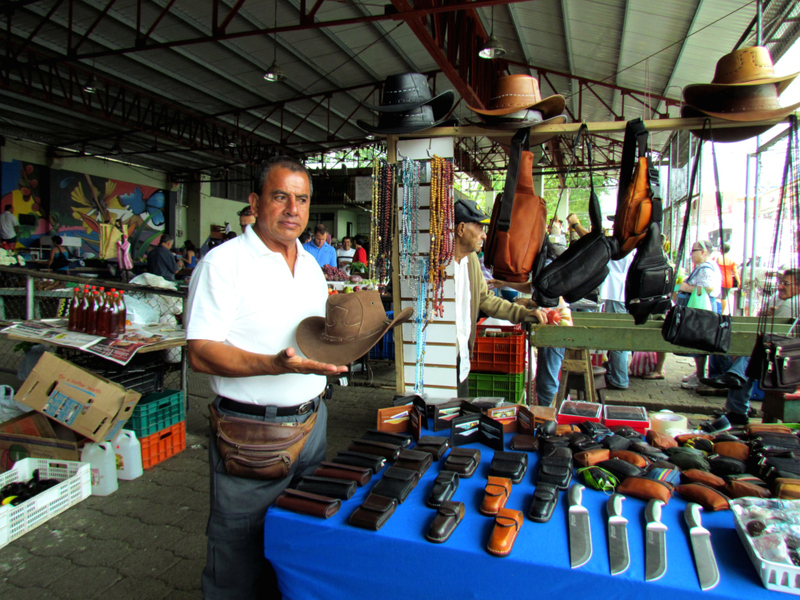 In Ciudad Quesada, the farmers market take place in the Amado Madrigal Small Square, Thursdays from 2 p.m. to 8 p.m. and Fridays from 7 a.m. to 2 p.m. Every dealer has a space for displaying his products to public. This is a good example about what you can see every week in the farmer market in Ciudad Quesada in the North Zone of Costa Rica. 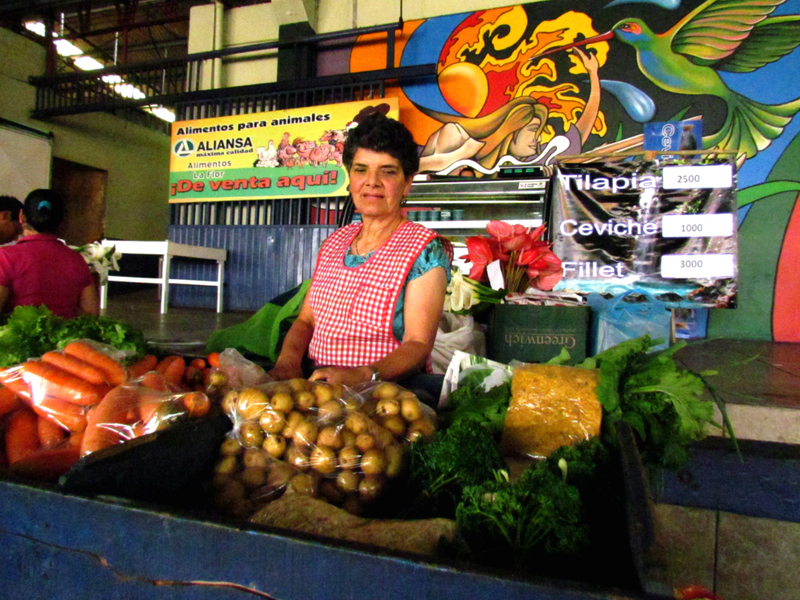 María Eugenia has come to this market for more than 20 years. She offers carrots, potatoes, lettuce, spinach, parsley, chayotes, and other products cultivated in her family farm. 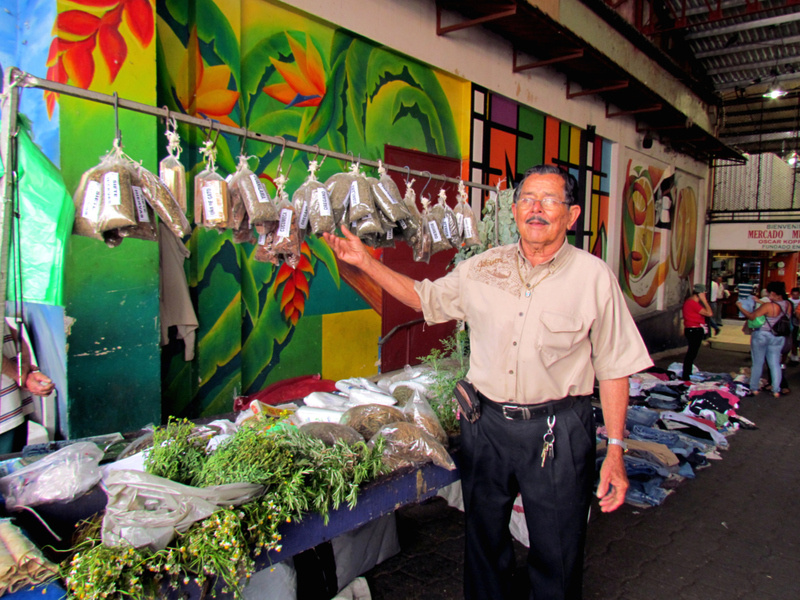 Domingo Umaña is more than a medicinal plant seller. He knows the function of every plant he offers. Thanks to that, he gives advice to his clients about what they need to buy and how to prepare it for cure their illnesses. 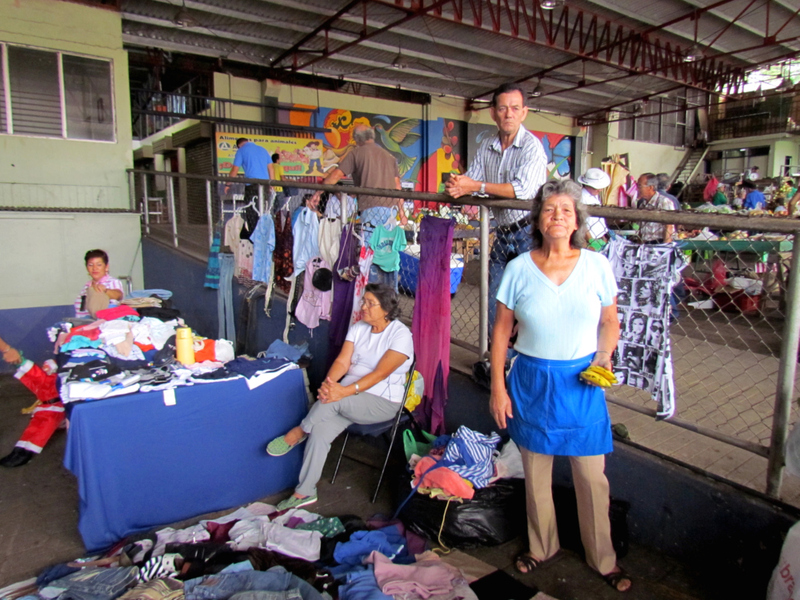 Miriam Arce offers used clothes with low prices. From kids to adults can find a piece to wear in her place. 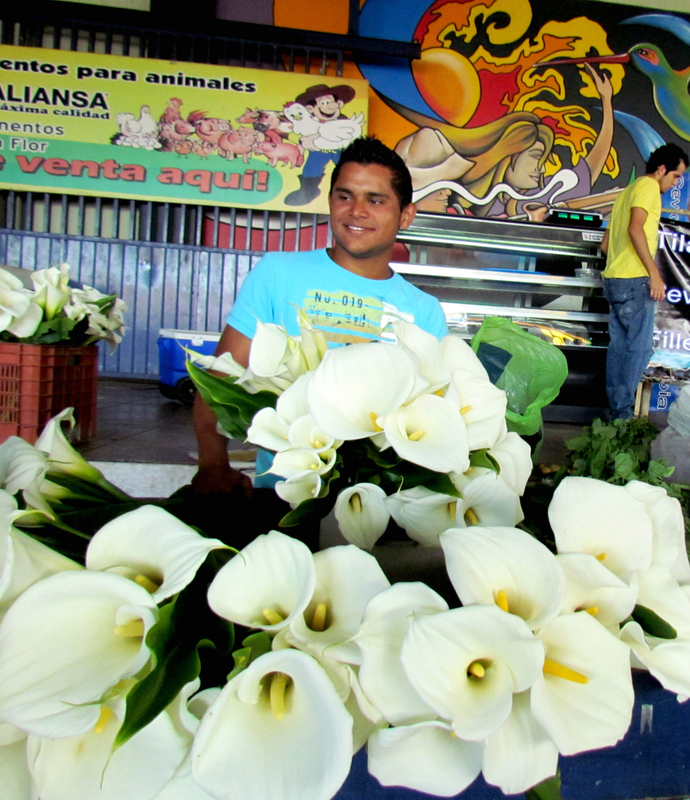 Javier’s family found a new income for its family in the flowers production. Farmers market is a great option to announce its products to more people. 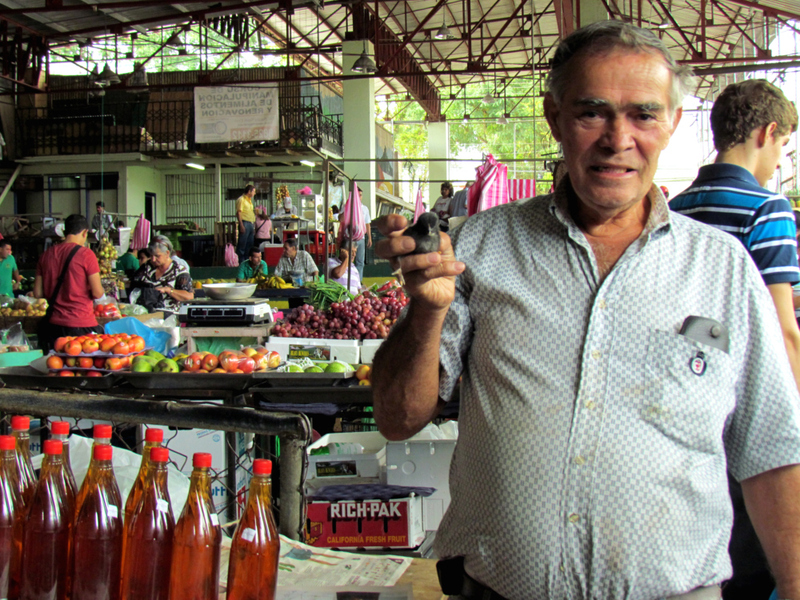 Ruperto travels approximately 3 hours in a bus every Thursday to sell in the Ciudad Quesada Market. He sells chicks for breeding and bottled honey. 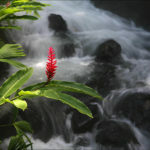 “Tamales” are a very traditional Costa Rican dish. 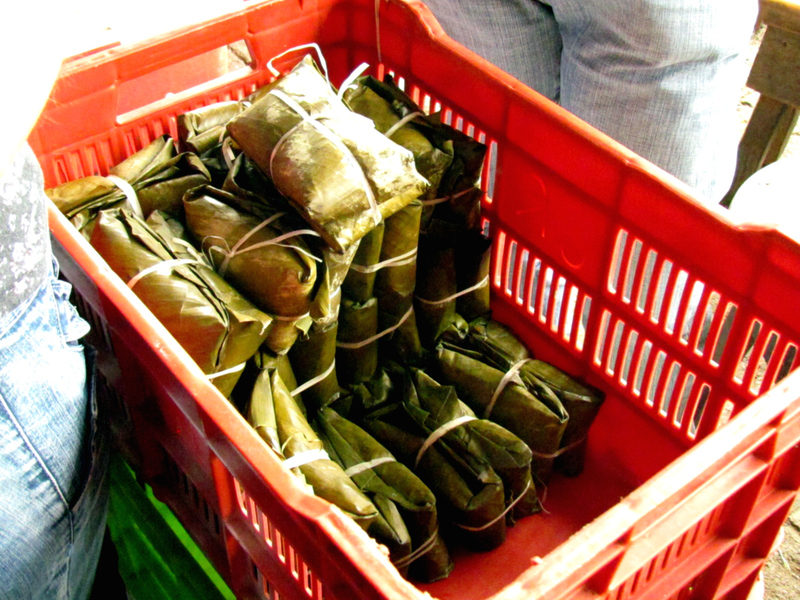 They combine corn dough, pork and vegetables like pepper and carrots; all is wrapped in plantain leaves. This dish is sold all year long, especially in Christmas time. 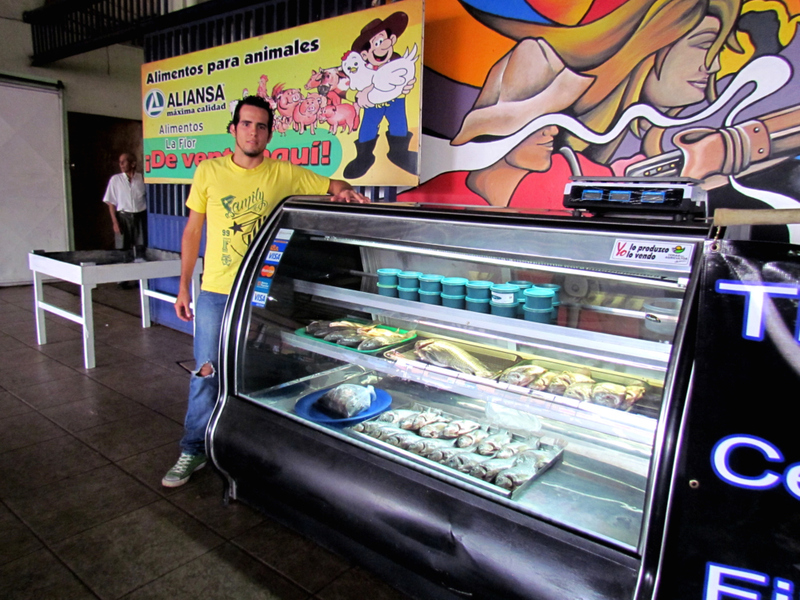 Pablo sells the fish his family produces in their farm. 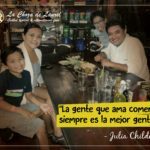 Clients can choose from complete fish, fish filet and “ceviche”, ready to taste it. Farmers markets are an ideal place for fresh fruits lovers, because there they can find a great variety of them. There are national or imported fruits and it is better to buy the seasonal ones because they are cheaper. Carlos is Colombian but he has lived in Costa Rica for many years, where he has worked offering his products to people thanks to farmers market. In his place you can find belts, purses and cell phone covers; all made with leather.